The beautiful Pearl is one of three precious gemstones associated with the Birthstone for June, which also include Alexandrite and Moonstone. 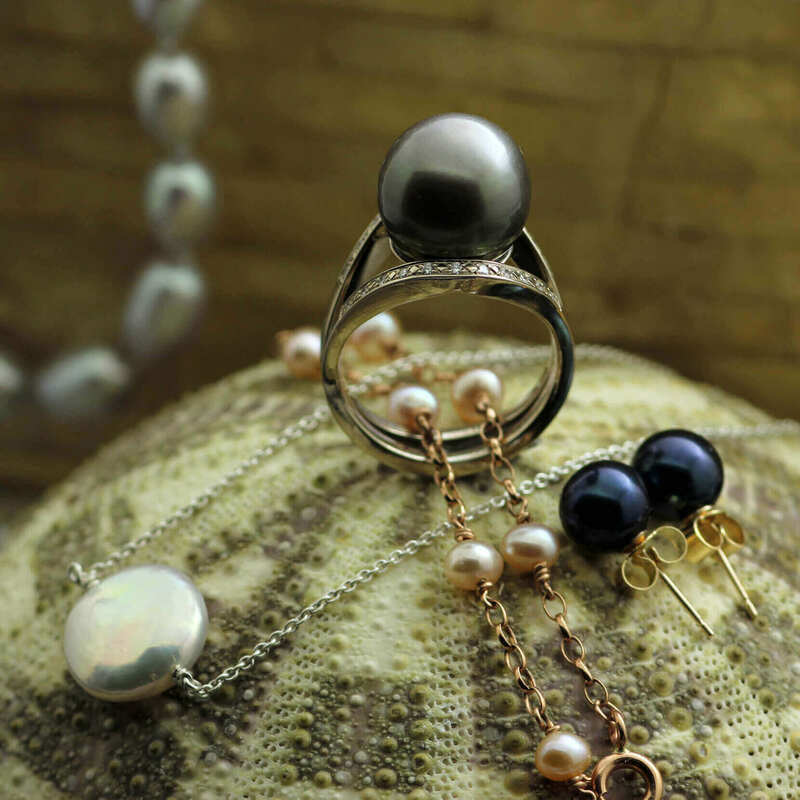 This month we have chosen to focus on the timelessly chic and precious Pearl as our featured birthstone. The word “pearl” originates from the Old French ‘perle’ and in Latin ‘perna’ meaning “leg,” referencing the leg-of-mutton shape of an open mollusk shell. Pearls have been treasured for centuries and are the only gemstone to be naturally formed by a living animal; the Pearl Oyster. Naturally formed Pearls are rarer and more valuable than perhaps one would assume; in natural conditions around 1 in every 10,000 wild Oysters contains a Pearl of any significant value. Wild Oysters or Mollusks produce pearls by depositing layers of calcium carbonate around microscopic irritants that get lodged in their shells—usually not a grain of sand, as commonly believed. Pearls generally take around five to eight years to form, which is the life cycle of the Mollusk. A fantastic range of contemporary Pearl jewellery handcrafted in a wide range of precious materials to create unique, timeless jewellery designs. 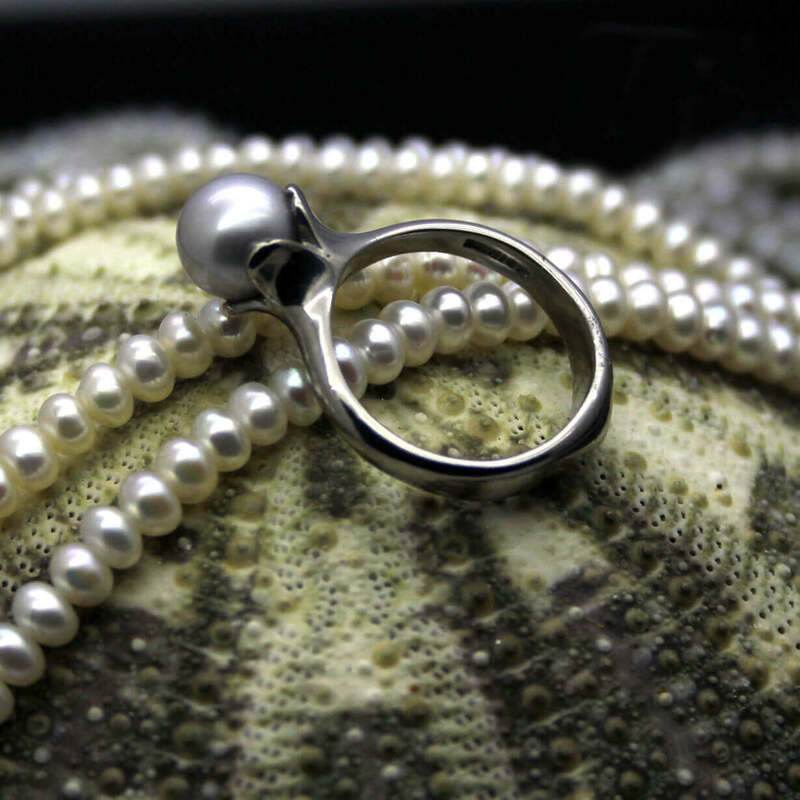 There are 3 major types of saltwater cultured pearls: Akoya, Tahitian and South Sea, which account for around 5% of all pearl production around the world. Each of these pearls is created by a different species of Oyster, creating a gorgeous array of different pearls to choose from! Freshwater pearls are the most commonly produced as the freshwater mussel can often create between 30 and 50 pearls at a time. Cultured freshwater pearls can dyed to create an alluring range of rich creamy hues including; yellow, green, blue, brown, pink, purple or black. By contrast, South Sea pearls are incredibly rare. South Sea pearls are cultured in along the northwestern coastline of Australia, the Philippines and Indonesia. Throughout modern civilisation pearl are often synonymous with the concept of purity and innocence which is linked to the frequent Western tradition of a Bride wearing Pearls on her big day. The precious Pearl gemstone continues to play a part in marriage as a traditional anniversary gift marking the passage of 1, 3, 12 and 30 years of marriage. A two thousand year old pearl has lately been discovered in an Australian Aboriginal archaeological dig in the Kimberley region of Western Australia. La Peregrina (Spanish for ‘the incomparable’) is one of the most famous pearls in the world. The 500-year-old pearl is pear shaped and the size of a large pigeon’s egg. Its previous owners included a King of Spain, Napoleon Bonaparte and Elizabeth Taylor. The oldest pearl necklace ever discovered was found in the sarcophagus of an ancient Persian princess (dating back to 350 BCE!) and this beautiful piece is on display in the Louvre in Paris. A piece of folklore originating from Marco Polo states that the kings of Malabara wore a necklace of 108 rubies and 108 precious pearls which is inherited from one generation of kings to the next. Here at Julian Stephens we adore the versatility of the timelessly stylish Pearl creating luxurious, elegant cocktail rings like the latest addition to our fine jewellery range using a glorious sea green Tahitian Pearl as an exquisite centrepiece. Happily Julian’s handcrafted Pearl Jewellery encompasses a huge range of styles, designs and price-points, including affordable but chic everyday jewellery like our classic button Pearl dangle earrings, available in a classic creamy hue or Peacock Pearl earrings which offer opulent pearls in glorious green, purple and blue tones. To view more delights from our Pearl Collection simply click here to see online examples from our Brighton Gallery.